CEO Tim Cook is betting on augmented reality, a cousin of VR that he believes will keep his company on top and may even supplant the iPhone. Investors impatient for Apple’s next breakthrough will be happy to know that Cook is very serious about AR. People with knowledge of the company’s plans say Apple has embarked on an ambitious bid to bring the technology to the masses—an effort Cook and his team see as the best way for the company to dominate the next generation of gadgetry and keep people wedded to its ecosystem. Adding AR features to the iPhone isn’t a giant leap. Building glasses will be harder. Like the Watch, they’ll probably be tethered to the iPhone. 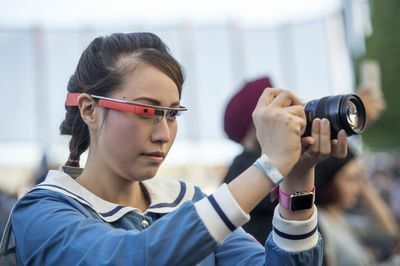 While the smartphone will do the heavy lifting, beaming 3D content to the glasses will consume a lot of power, so prolonging battery life will be crucial. Content is key too. If Apple’s AR glasses lack useful apps, immersive games and interesting media content, why would someone wear them? The glasses will also require a new operating system and perhaps even a new chip. Finally, Apple will have to source the guts of the gadget cheaply enough to make it affordable for the mass market. Last spring, in a sign that it’s serious about taking products to market, Apple put some of its best hardware and software people on Rockwell’s team, including Fletcher Rothkopf who helped lead the team that designed the Apple Watch, and Tomlinson Holman, who created THX, the audio standard made popular by LucasFilm. Apple has also recruited people with expertise in everything from 3D video production to wearable hardware. Among them, the people say: Cody White, former lead engineer of Amazon’s Lumberyard virtual reality platform; Duncan McRoberts, Meta’s former director of software development; Yury Petrov, a former Oculus researcher; and Avi Bar-Zeev, who worked on the HoloLens and Google Earth. Apple has rounded out the team with iPhone, camera and optical lens engineers. There are people with experience in sourcing the raw materials for the glasses. The company has also mined the movie industry’s 3D animation ranks, the people said, opening a Wellington office and luring several employees from Weta Digital, the New Zealand special-effects shop that worked on King Kong, Avatar and other films. Besides hiring people, Apple has been busy making tactical acquisitions. 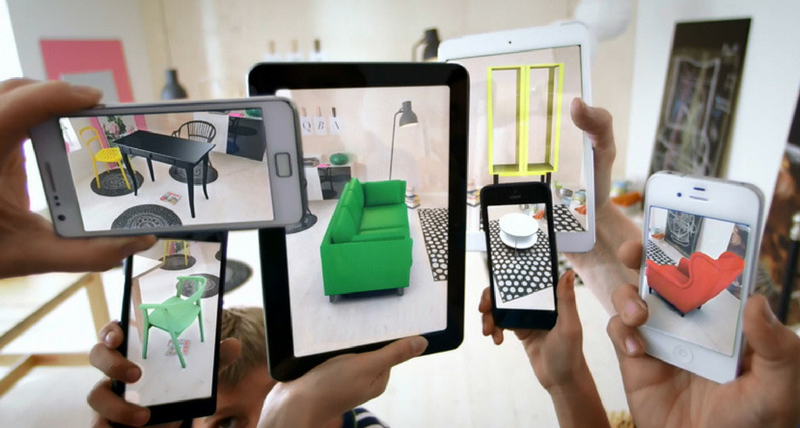 In 2015, the company acquired Metaio, which developed AR software. Former Metaio CEO Thomas Alt now works on Apple’s strategic deals team, which decides which technologies to invest in. Last year, Apple also bought FlyBy Media, which makes AR-related camera software. Cook even visited the offices of Magic Leap last summer and displayed interest in the secretive company’s AR technology, the people say. Magic Leap declined to comment. Hundreds of engineers are now devoted to the cause, including some on the iPhone camera team who are working on AR-related features for the iPhone, according to one of the people. One of the features Apple is exploring is the ability to take a picture and then change the depth of the photograph or the depth of specific objects in the picture later; another would isolate an object in the image, such as a person’s head, and allow it to be tilted 180 degrees. A different feature in development would use augmented reality to place virtual effects and objects on a person, much the way Snapchat works. The iPhone camera features would probably rely on a technology known as depth sensing and use algorithms created by PrimeSense, an Israeli company acquired in 2013. Apple may choose to not roll out these features, but such additions are an up-and-coming trend in the phone business. This was originally published in Bloomberg News. Amos Kennedy Jr.: From Corporate Analyst To Modern-Day Artisan Camelot2: The Next Big Thing for Interactive PDF?